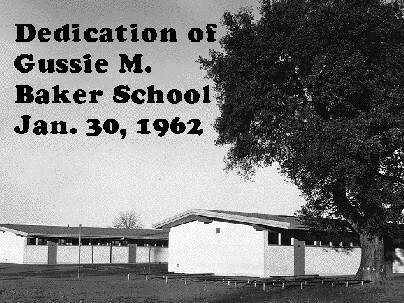 Our school, Gussie M. Baker Elementary School, was named after Gussie Myrtle Baker. She was born in Enterprise, Washington on July 15, 1903. In 1929, at the height of the depression, Mrs. Baker was hired as a teacher-principal of the 55 student two teacher Moreland School. It was the only school in the Moreland School District. 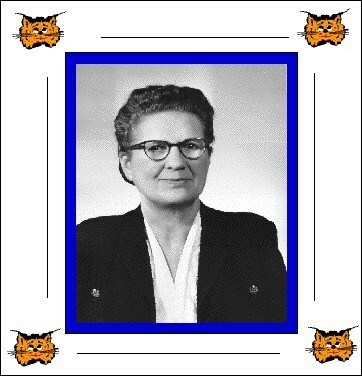 She then served as Superintendent of the Moreland School District from 1936 to 1960, a period of 24 years. On June 30, 1960 Mrs. Baker retired as Superintendent of the Moreland School District. The construction of Baker Elementary School was completed on May 26, 1961. On January 30, 1962, Baker School was dedicated in her honor. She was present at the dedication ceremony. The school was dedicated to her, because she devoted her life to helping children learn special skills that they need during their lives. Mrs. Baker died on January 30, 1968 at the age of 64. This web page was created by The Baker School Multimedia Leadership Team (the m&m's) in honor of Gussie M. Baker for all her hard work and her contributions to our school district. We made this page to let others know about this very special person.